I teach people how to teach math, and I've been working in this field for 30 years. 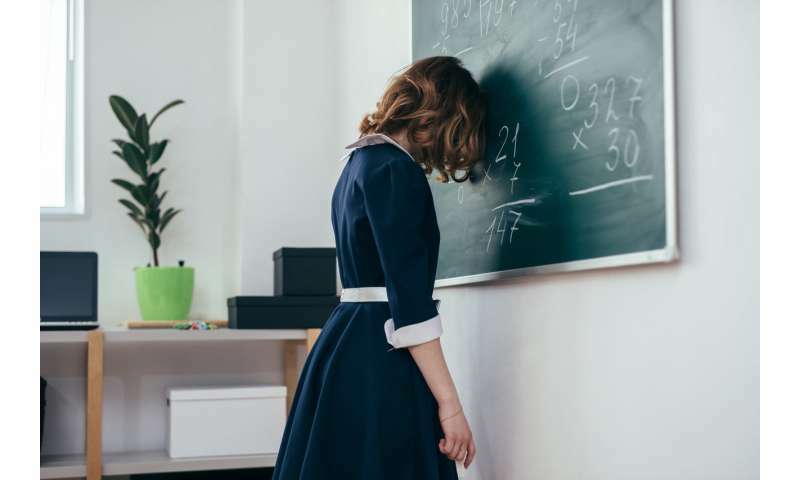 Across those decades, I've met many people who suffer from varying degrees of math trauma – a form of debilitating mental shutdown when it comes to doing mathematics. When people share their stories with me, there are common themes. These include someone telling them they were "not good at math," panicking over timed math tests, or getting stuck on some math topic and struggling to move past it. 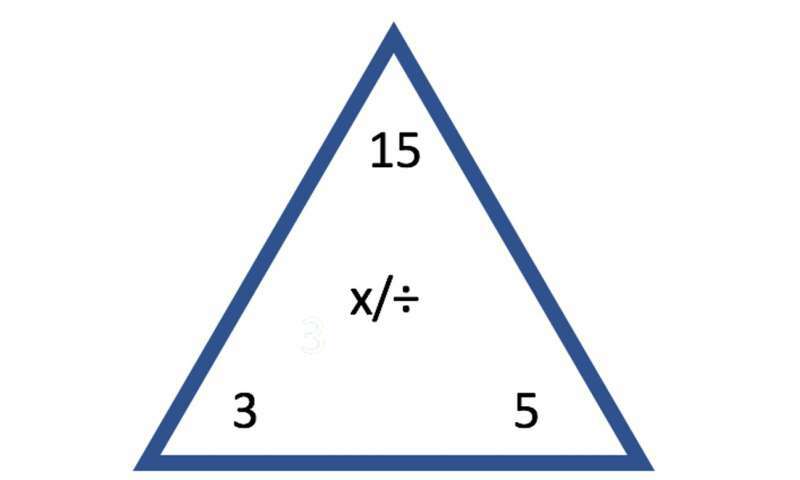 The topics can be as broad as fractions or an entire class, such as Algebra or Geometry. 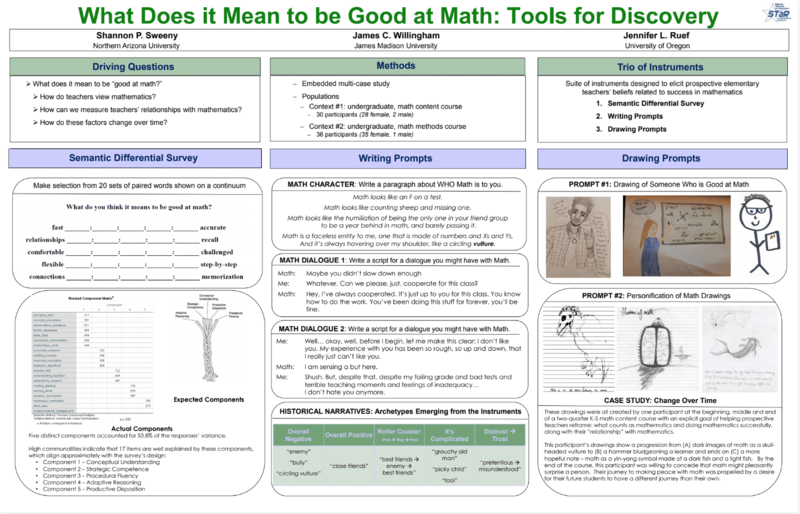 The notion of who is – and isn't – a math person drives the research I do with my colleagues Shannon Sweeny and Chris Willingham with people earning their teaching degrees. One of the biggest challenges U.S. math educators face is helping the large number of elementary teachers who are dealing with math trauma. Imagine being tasked with teaching children mathematics when it is one of your greatest personal fears. While math trauma has multiple sources, there are some that parents and teachers have power to influence directly: outdated ideas of what it means to be good at math. These include speed and accuracy, which were important in decades past when humans were actual computers. But research has confirmed what many people share with me anecdotally: Tying speed with computation debilitates learners. People who struggle to complete a timed test of math facts often experience fear, which shuts down their working memory. This makes it all but impossible to think which reinforces the idea that a person just can't do math – that they are not a math person. What's more, students who succeed at tests of timed math facts may believe that being good at math means simply being fast and accurate at calculating. This belief can lead to a fragile math identity. Students fear revealing they don't know something or aren't that fast, so may shy away from more challenging work. No one wins. The myth that fast recall of basic math facts is good for learning has deep and pernicious roots. It comes from the best of intentions – who wouldn't want kids to be good at calculating? But research shows that fact fluency – the ability to easily recall facts, like 3 x 5 = 15 – is best developed from first making sense of arithmetic operations. In other words, the first step in building a mathematical memory is understanding how that math works. Skipping the sensemaking step makes for fragile understanding and cognitively expensive memorization. When someone only memorizes, every new fact is like an island unto itself, and is more readily forgotten. In contrast, understanding patterns in math facts compresses the cognitive load required to recall related facts. Sensemaking promotes deep, robust and flexible understanding, allowing people to apply what they know to new problems. First, find the wonder and joy. Games and puzzles that get people playing with numbers, such as Sudoku, KenKen or certain card games, create an intellectual need to use math facts that helps kids develop fact fluency. Asking kids to explain their thinking – using words, pictures or objects – validates the importance of their ideas. Reframe mistakes as explorations. Not having a correct answer doesn't mean all thinking is incorrect. Asking kids to explain their thinking also helps in understanding what they know now, and what they might learn next. Questions about how a kid got an answer can get them thinking about what does not quite work and is worthy of revision. When you ask these questions, it's good to have a poker face; if you broadcast that an answer is wrong or right, it can reinforce the belief that only right answers count. Second, do no harm. It's important that parents avoid giving kids messages that they are not math people. This can have a negative impact on kids' beliefs about their own ability to learn. Also, beware claims that kids must suffer to learn mathematics. For many adults, today's math classes are very different from those we experienced. U.S. schools have moved away from speed and accuracy – sometimes called "drill and kill" – and toward discussing and making sense of mathematics. Mathematics teacher educators are in agreement that these are good things. Look for the deeper meaning in what your child is learning, knowing that deeper understanding comes from connecting multiple ways to solve problems. People who struggle to complete a timed test of math facts often experience fear, which shuts down their working memory. Which is the point. These tests measure whether you have internalized the facts, not whether you can come up with the right answers ad-hoc. I.e it measures whether you did your homework and committed what they were trying to teach you into long-term memory. The difference is, that instead of memorizing your multiplications table, you may be relying on some mental algorithms. The timed tests are purposefully shutting down your working memory to make you rely on your rote memory: to be efficient at calculating, you ultimately need to be able to rattle the numbers off the top of your head without tripping over a half-remembered mnemonics or algorithms. In the end, the basic multiplication table from 1 to 10 has less than 50 items to memorize. It isn't difficult to memorize, but people are exceedingly lazy when it comes to any mental effort. The problem is that people who are cognitively lazy and won't do their homework and memorize things like the multiplication tables are handicapped anyways. If you give them time, they will come up with the right answers, and pass the tests with good scores, but they still won't memorize the facts. They will always rely on having the time to think and come up with the answers, and so the cognitive overhead piles up. They show up at lectures pestering the professors to re-explain trivialities and fundamentals of the topics they're trying to explain, unable to follow the topic because they can't keep up. When the course is up, they're taking four hours answering one test problem which requires them to have already memorized a whole bunch of facts, which they didn't, and they fail the course and drop out of college. it's better for them to be math-anxious than waste their time for things beyond their aptitude. Mathematics teacher educators are in agreement that these are good things. Because it makes the kids' scores higher and lets them pass the class, which means No Child Left Behind. It lets the teachers off the hook by lowering the bar for their students and satisfies the government demands that every kid has to pass school to make the statistics look good.